The underpowered Volkswagen hummed as we we sped through the cobblestone streets of the tiny Spanish town. Jokin, the Basque local whose house we were staying at, sang along to some American pop song that was never popular in America. I didn't want to spoil his illusions of America with this insight however, and kept my mouth shut. The van smelled of damp wetsuits and smoke from hand rolled cigarettes. Surfboards of all shapes, sizes and colors took up two thirds of the bench seat beside me. Rounding a sharp corner, I braced the stack of boards with my forearm. "How much farther until we will be able to see the wave?" Ryan Burch asked from the passenger seat. "Ehhh five minutes, maybe a little more," Jokin responded optimistically. This meant about fifteen minutes, I surmised. 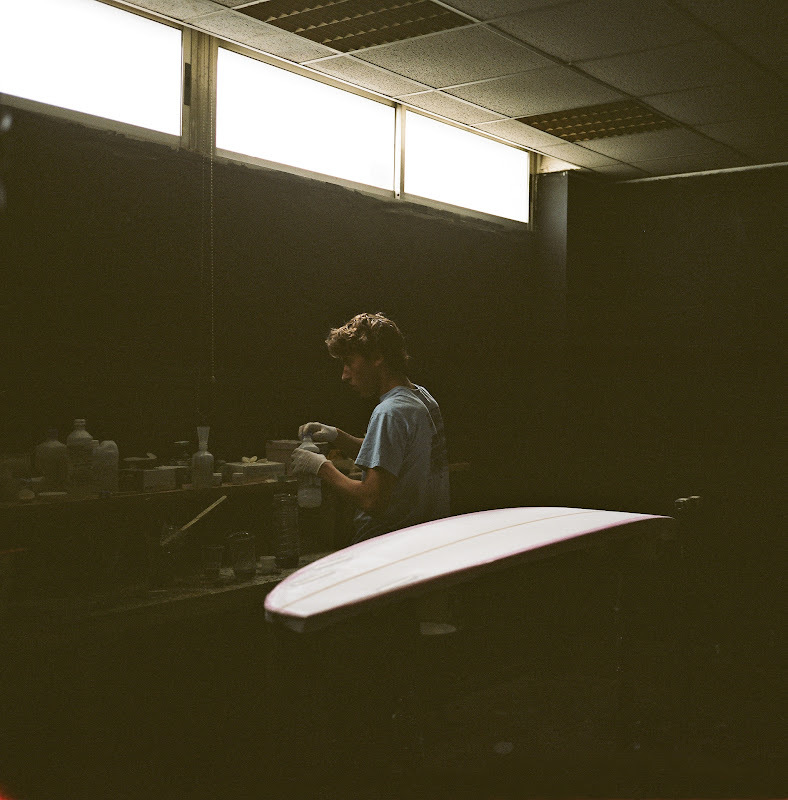 For the last few days, Ryan had been working on shaping and glassing a board specifically for Mundaka. A looming swell had the locals in a frenzy. 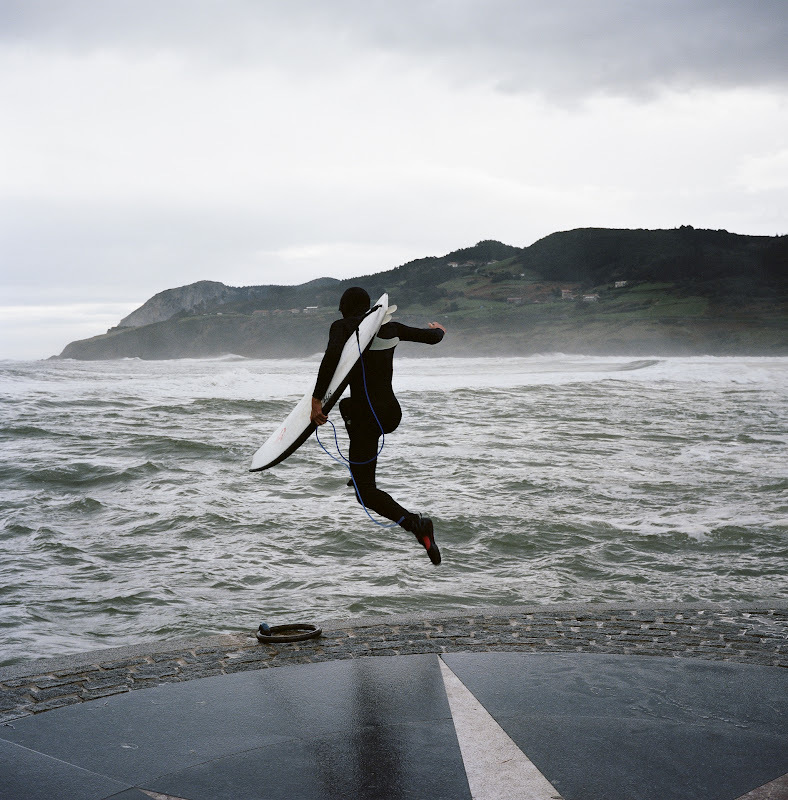 Big waves spots in Portugal and Spain were breaking and surfers from around the world were flying in. Garret McNamara would ride a 100 foot wave that same day, a few hundred miles from where we were on the same coastline. It was pure coincidence that we were in the area for the swell. We had been planning our trip for months. Unprepared for the coming waves, Ryan shaped a new board, designed for bigger waves. Ryan's boards are unlike anything I've ever seen. 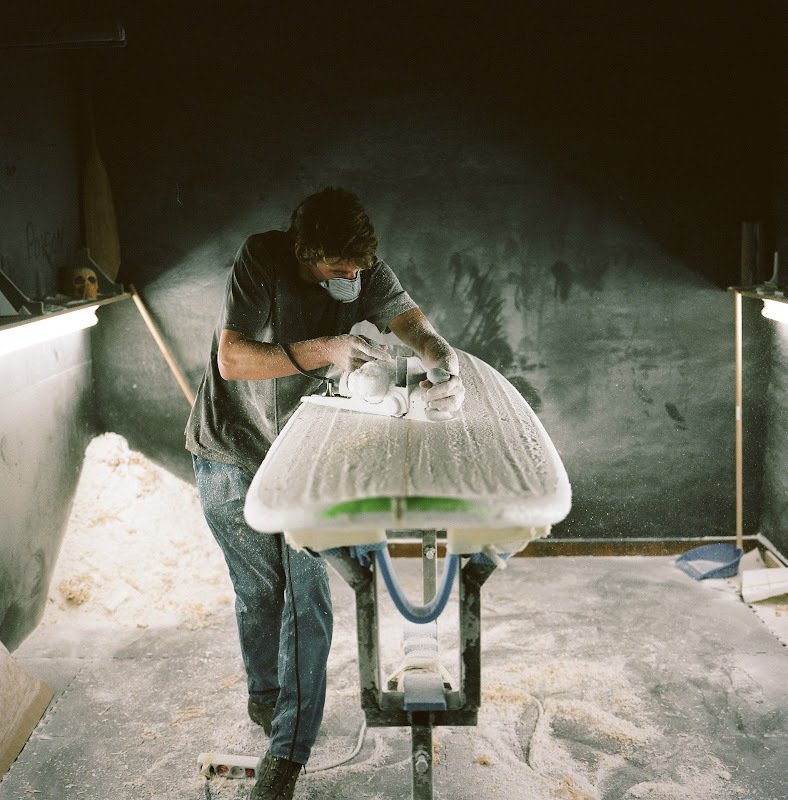 As a gifted surfer and visionary shaper, Ryan pushes the boundaries of what surfboards can do. Instead of imitating and updating the past, as is the norm these days, he experiments with new designs. Form follows function. My good friend Cyrus has believed in Ryan's surfing and shapes for years, but it took seeing him in action to fully appreciate it. As a goofy footed surfer, Ryan's boards are specifically designed to work with a right foot forward stance. The carbon rails give the board strength and allow them to flex. Check out more of his designs on his tumblr, Bobbers and Sinkers. The van pulled over on the shoulder on a grassy hill. Firing up the hazard lights, we jumped out and stood on the guardrail. A warm south wind blew from behind us. Even from the hill, a few miles away from the wave, I could tell there was something special happening. Starting at the point and feathering a few hundred yards into the river mouth, the waves lined up. They were big. Bigger than any surfable wave I'd ever seen. The look of shock and anticipation on Ryan's face reinforced my growing idea that this was a day I couldn't miss. The urgency and severity of the opportunity was contagious. 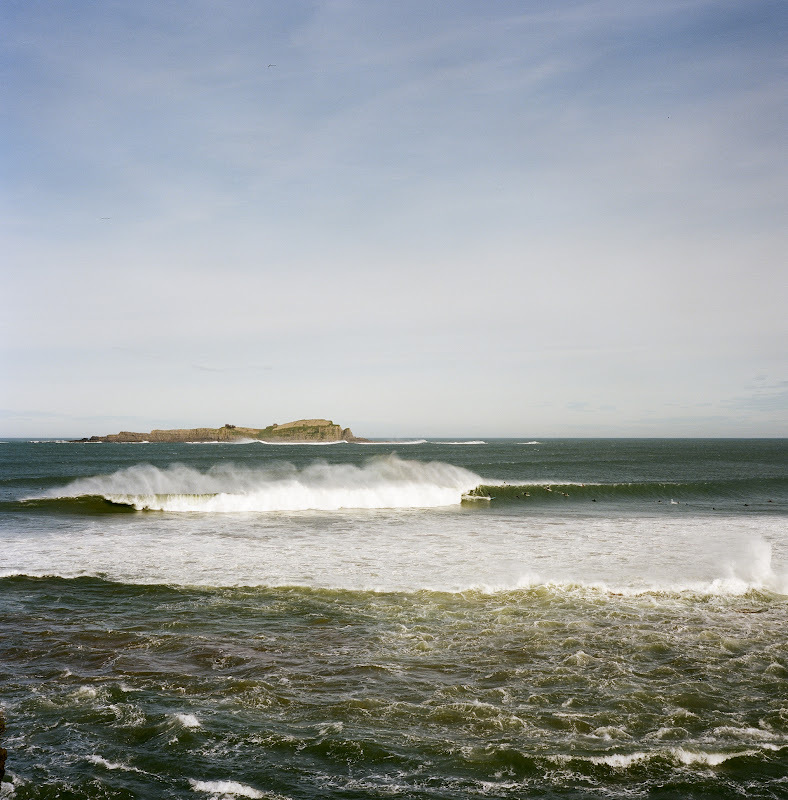 "Classic Mundaka! This is rare, a gift." Jokin said in a thick Basque accent as swung back into the driver's seat and shut the door. Turning on the van, we peeled off. The whole stop had lasted maybe fifteen seconds. "You gotta go out." Ryan said, facing forward in the passenger seating. Before I could answer, he turned around and looked me in the face. "You'll be fine. Take Cy's gun." As soon as I saw the waves, standing on the guardrail, I knew I had to go. Smiling sheepishly I nodded in agreement. Sprinting toward the harbor, the arms of my wet suit flapped at my waste. At the end of the walk way, we zipped up our suits, pulled our hoods over our heads and checked our leashes. Pausing, I watched a wave grind through, sucking sand up the face and throwing spray fifteen yards behind it. As I stood in awe, Ryan moved with the efficiency, seemingly unimpressed. Standing up, Ryan tested his fins and moved towards the ten foot ledge over hanging the mouth of the Harbor. "I'll see you out there." Bobbers and Sinkers Tumblr (Ryan Burch's Blog).